Before becoming a driving instructor I spent 37 years in the motor trade. I started this career as an apprentice with Rolls Royce, before moving on to being quality control engineer and test driver for Jaguar, and then a senior service advisor for a Honda garage in West London. So I suppose you could say that I know my way around a car! I really love being an instructor, and believe that although learning to drive and the safety that goes with it needs to be taken seriously, it's important to have a laugh and enjoy the time spent behind the wheel. I am very patient with my pupils and help them to understand what we are are learning, why we are learning it, and how we put that into practice. I now teach in an automatic car, as there is an increasing demand for automatic lessons as automatics become a more popular choice for driving in London traffic. In addition they are becoming a more affordable and readily available option, not just limited to the higher end of the car market. "I passed my driving test today at my first attempt with only 2 minors! So I would like to thank Gary v for being a great instructor. You made learning to drive really easy and it was a great experience. Thanks again Gary." "Passed my test today! Thanks to Gary V for his patience and time helping me get my license! He made me relax while driving and I never felt stupid asking questions or going over things til we got it right. Well priced and flexible to my work schedule. Would highly recommend to anyone :)." "I had a great experience with Elite. My instructor, Gary, taught me to drive in the UK and to use an automatic for the first time. I learned a lot in each lesson, Gary was very professional and I truly recommend him. Thank you!" "Thanks to Gary V. I've finally passed after all the patience you had to deal with. All the I can't do it and omgs you never gave up. I would recommend him to everyone who's looking to start lessons 100% Thank you again Gary!" "Passed today first time with Gary V. He is an awesome instructor who took time to put me at ease and answer all my questions (even if I asked the same thing over and over). Truly a great instructor who enabled me to pass with ease even when I wasn't confident I would." 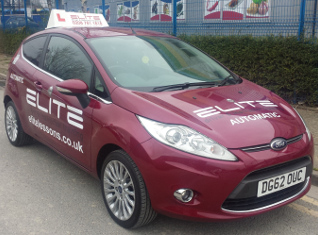 "Elite driving are an amazing driving school, I learn't automatic with Gary V he put my mind at ease and made me feel comfortable as I am a nervous driver, I would really recommend learning with Gary he is patient, kind and a really good instructor!" "I began lessons with Elite after I failed my first test with another company and I immediately began to feel confident again. I felt comfortable by the ways in which I was taught and a lot of effort was made by my instructor to ensure I was happy. A big thank you to Elite for helping me pass and a special thank you to Gary V who was superb in every lesson and really helped me gain the confidence in myself when driving, would definitely recommend Elite and Gary V!!! thank you!" "Review to: Gary V He is very nice and friendly. He helped me to get confident and to do really well and I passed my test the first time!!! He has lots of tips, really good advice and flexibility with your locations and timings too!" "I just passed my driving test today finally after changed two instructors. Thank you my last instructor, Gary V. He is patient and gave me the right tips and instructions. The most important thing, he builds up my confident but no pressure. Big thanks to Gary V. I Really recommend him." "I passed 1st time with Gary V. He is a calm, patient and a competent instructor, and also a real laugh. He is good at telling you what you need to focus on and doesn't make things over complicated. The lessons were always worthwhile and taught me to drive safely and well. Thanks Gary!" "I passed second time with an amazing driving instructor Gary! He helped me drop my bad habit I picked from my old instructor. He created an environment where I felt at ease and confident behind the wheel. He pushes and encouraged me to do my very best which made it easier for me to pass. Thank you! Gary!!" "I had my lessons with Gary V. And it was fantastics. Gary showed me all the things that needed to be for the test. We focused on areas where I had difficulties. The perfect thing with is that he made me confident and thought me how to be a good driver. He never put the money as a priority, but even gave me a free hour :). I was very please when I passed my test!!! Will definitely recommend this school." "Gary V is a fantastic instructor; very clear instructions, always patient when practising manoeuvres and very flexible and committed to you as a customer (he got up at 4am to drive me to my test!!) I could not have asked for a nicer and more encouraging teacher. I passed my test, first time, after only 3 weeks of lessons. Thank you Gary!" "Gary V is a very calm and friendly instructor, and always created a very positive atmosphere during our lessons, which is exactly what I was after. Unfortunately my previous instructor (whilst good at his job) made me feel quite negative during lessons which hindered my progress. 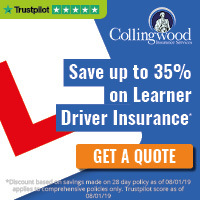 I took a look at this website to see which other driving schools were good in my area and found Elite Driving School right at the top. Thankfully they did serve my area, and all the previous negativity I held vanished as soon as I began with Gary V. Lessons were longer and more frequent, and I began to progress at a much faster rate. In the end I managed to pass my practical test on the first go, with four minor faults. Gary is exactly what you would want from an instructor, and I would highly recommend him if you are looking to start driving lessons. As well as technical knowledge and experience, he is cheerful and easy to get along with, always asking what I've been getting up to and allowing us to have friendly conversation as well as learning. I feel a bit sad that I won't be able to see him a few times a week anymore, as he actually made me look forward to driving lessons, rather than dread them.All in all, going with Elite Driving School has been the best decision I could have made. It's definitely on the expensive side, but in my opinion worth the money. I'm sure all of their other instructors work to the same standards as Gary V, so if you do live in any of the postcodes they cover, definitely get in touch. You won't regret it." "I passed my test today after having on 20 hours :) Gary Vigee was my driving instructor and was amazing. Would definetely recommend him to anyone wanting to drive. He was very supportive and helpful and wanted me to pass." "I really enjoyed taking my lessons with Gary; Gary is an excellent driving instructor, calm, professional he made me feel relaxed in each lesson and helped me get over any fears of driving that I had. He gave me the confidence and knowledge to be able to drive I would recommend Gary to friends and family. " I'm very pleased with instructor Gary. I didn't have a lot of confidence in beginning, but with instructors help, I could be more confident while driving. He help me with roundabouts and maneuvers. With lots of patience and instructing I passed practical test on first time. You couldn't get better instructor then Mr Gary. Thank you. You deserve five star rating." "Gary V. In West London have been my instructor for about a year. He is patient but persistent and helped me to gain more confidence when driving. I had never driven before in the past. He has been very flexible with lessons outside work hours and at weekends. The lessons have been fun (for the most part) and I have learned a lot about many things. I passed my practical test at first attempt today with only 4 (a bit silly really) minor faults. So very pleased. Thank you Gary and Elite! " "I can say Gary is very friendly and professional instructor. I've had 20 hours of tuition with him at all times he was patient even when I made a big mistakes. Because of his professionalism and tactics I've passed my practical test at first attempt with 0 faults. He really gave me the confidence with roundabouts, junctions and all manoeuvres. Many thanks Gary.I would highly recommend Gary to anyone who is looking forward to passing their test at first attempt and to be a safe driver." "Passed my test first time with Gary after only 18 days after my 17th birthday. Gary is a great Instructor, he explains any problems clearly and gives you confidence as a new driver. He is very reliable and accommodating with a really positive approach to teaching. I would definitely recommend anyone to learn to drive with Gary." "I would like to thank Gary for passing my test. He is not just a brilliant instructor. Gary is a great, easy going and reliable person. Big thank you for his patience and support. I would definitely recommend him! Thank you Gary..."
"I am absolutely thrilled to have passed my practical driving test. I would like to thank my instructor Gary for helping me to get through. 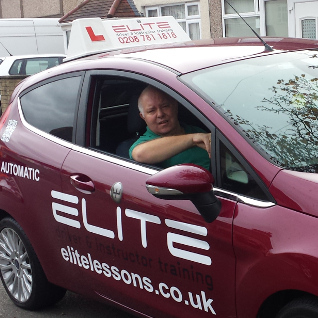 Gary is a highly skilled and very experienced driving instructor who knows the “ins and outs” of his trade very well. He tailored the lessons exactly to suit my requirement to pass in the shortest time possible whilst targeting my numerous bad habits. (I have been driving for more than a decade in my home country – India).His instructions were always very clear and right to the point and the lessons were good fun too. Gary inspired so much confidence in my ability to drive well, so on the test day I was almost looking forward to showing off my driving skills. Gary never lost his calm temperament and had a very optimistic and positive attitude in my driving abilities. He would instantly flag up areas of concern and look to rectify those, which showed his attentiveness to my driving. I was impressed at how easily he helped me understand how to do particular manoeuvres.I will have no hesitation in recommending Pinnacle Driving School and Gary to anyone contemplating driving lessons in the future.Once again thank you Gary!" "I really enjoyed taking my lessons with Gary; Gary is an excellent driving instructor, calm, professional he made me feel relaxed in each lesson. He gave me the confidence and knowledge to be able to drive and would definitely recommend Gary to friends and family." "Gary is a brilliant instructor, he's very calm and patient which is a really good asset to have in this business. When I booked my first lesson with Gary, the process was very quick and easy. Throughout my driving lessons Gary has been very flexible with lesson times and he is always on time and reliable. I am very lucky to have had Gary as my instructor as he has made me a safe and confident driver. I recommend Gary to everyone, as he is trustworthy, caring, friendly and a great teacher who makes you feel comfortable."